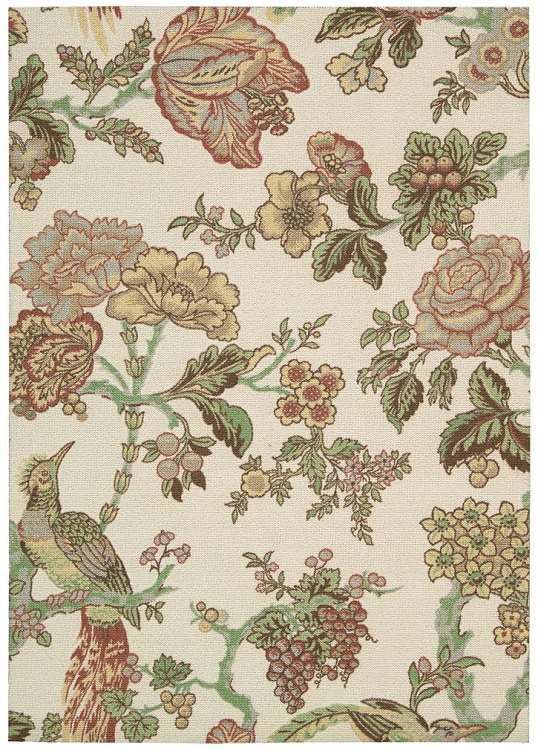 Popular collection of Waverly prints, Global Awakening rugs are beautiful with soft pastel tones and sophisticated designs. They are printed on durable polyester looped pile base and hand finished with cloth backing. Designs replicate timeless Waverly wallpaper and allow you to create a perfectly coordinated room.